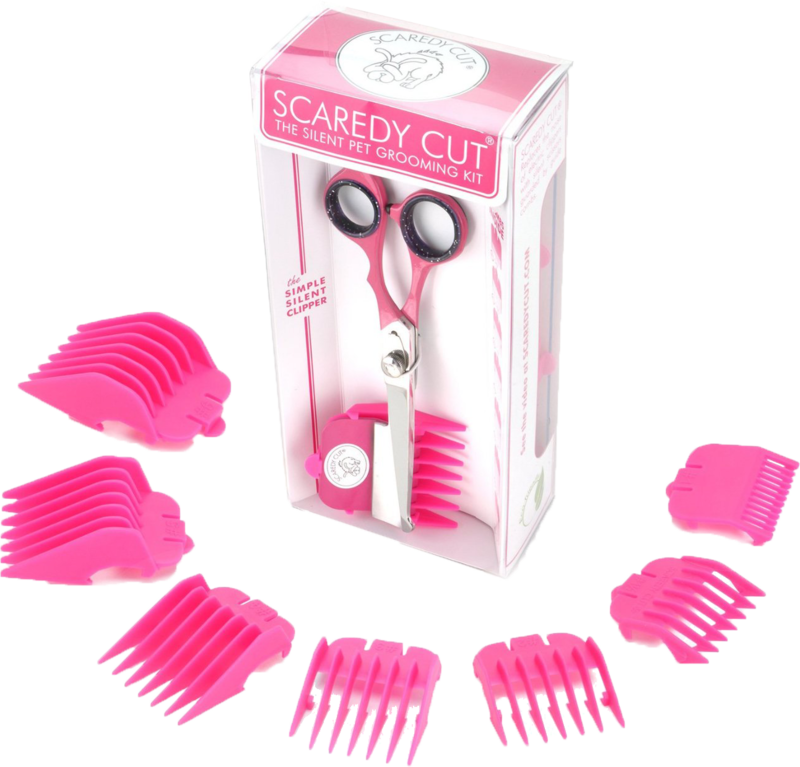 Scaredy Cut offers gentle grooming for sensitive pets. ➧ Does grooming stress out your dog? ➧ Does your dog freak out when handled by strangers? 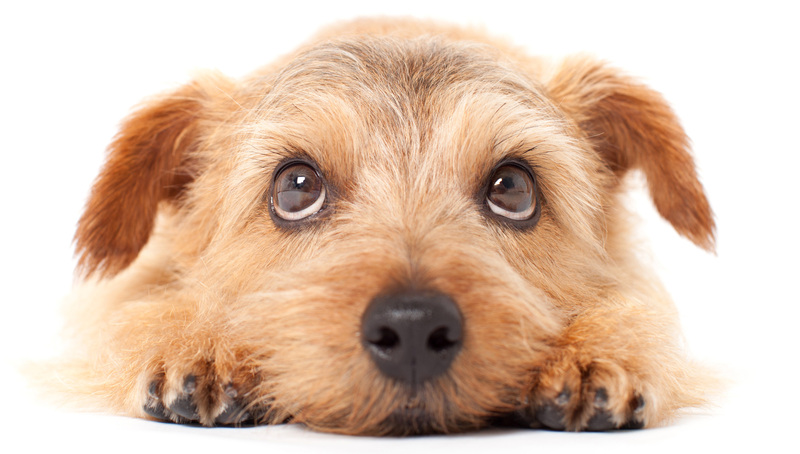 ➧ Does your dog experience any of the following symptoms before, during, or after grooming? 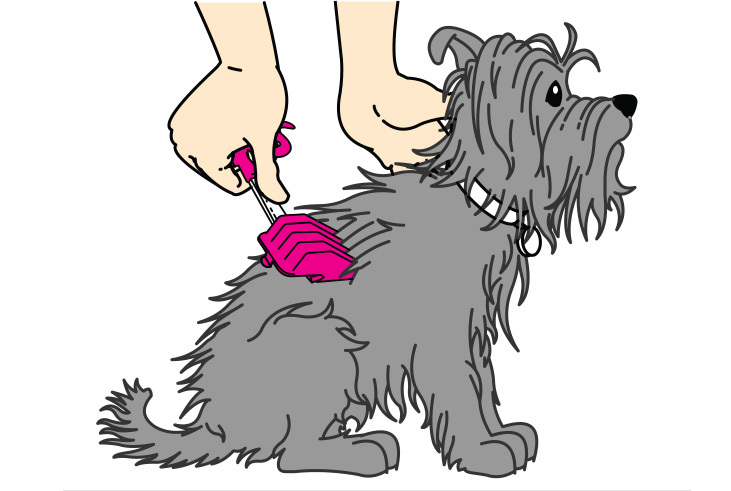 Scaredy Cut® is the patented, buzzz-free grooming solution for sensitive pets. "Fox had a great groomer that moved but no one else could handle him. 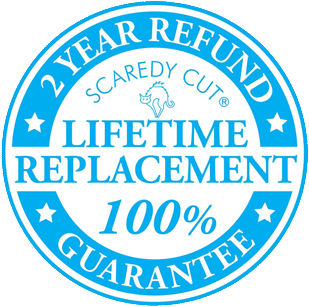 Fox handled Scaredy Cut well and I get to save time, money and aggravation. Thanks!" "Oreo hates the noise of electric razors and would run away and snap at it. Just when I was about to give up hope I found your product." Like in humans, pet stress adds up. And unfortunately, we often forget about how our actions and decisions affect our pets. 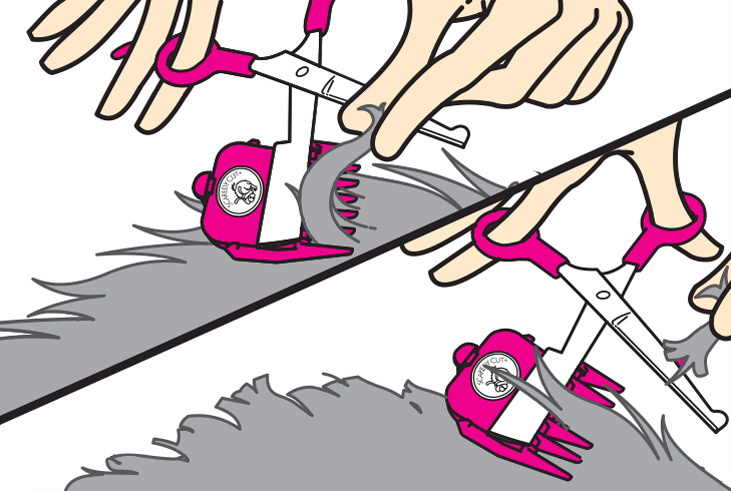 By using Scaredy Cut instead of buzzing electric clippers, you are removing a harmful stressor from your pet's life. 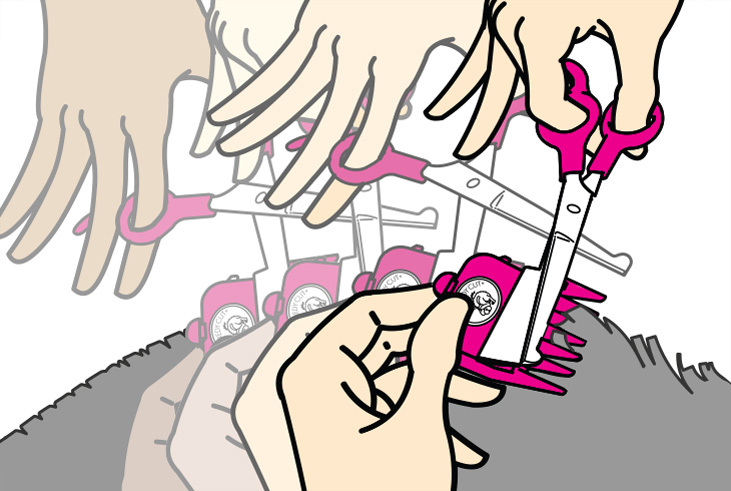 Scaredy Cut comes with seven guide combs, like the ones found on a traditional electric clipper. Feel confident that you’ll get the length you want, while maintaining an even cut all-around. We take our guarantee seriously. If grooming isn't easier, then we'll happily refund your order. Start by brushing your pet to relax them. 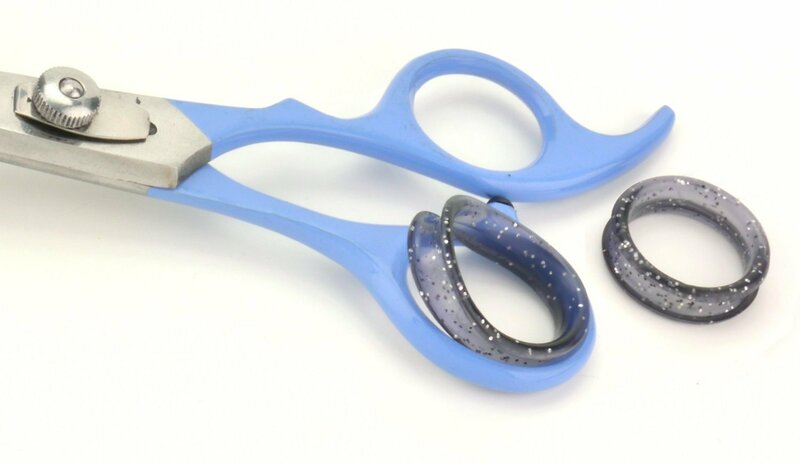 Make single cuts, holding one lock out at a time. Comb against the fur. Make rapid cuts to even out the fur. Can I sharpen my Scaredy Cut blades? 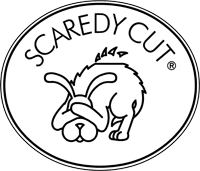 In mid-2017, we began manufacturing Scaredy Cut without a serrated blade because it cuts thick fur more easily. Do I need to bathe my pet before grooming? Not at all. Dirty fur will dull blades over time and so our professional advice is to bathe your pet first. However, we believe that your pet's comfort and happiness is ALL that matters, so groom that dirty fuzzball whenever it's a good time for them. 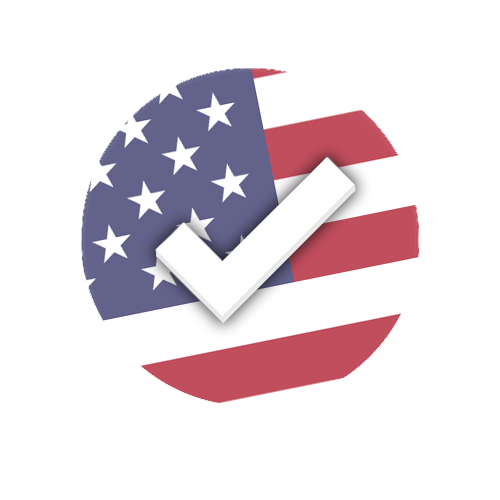 Scaredy Cut: Made in The USA! Fear Free Pets vs. Low Stress Handling: Which Certification is Best For You? 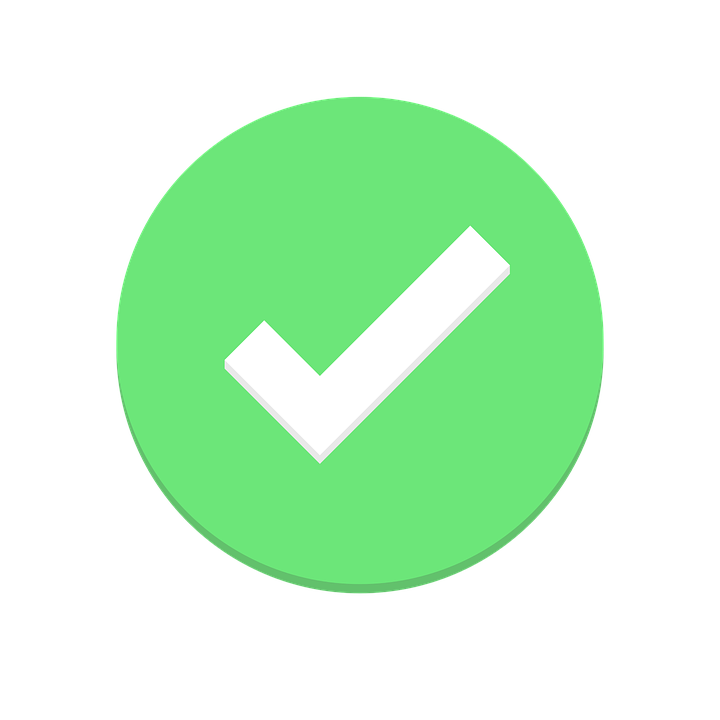 Looking to be certified in stress-free pet handling? Read our comparison to learn which is best for you.